› Note: Short breaks will be included during the day, and light snacks will be provided by Whole Foods. Attendees will be free to leave campus for lunch. A shuttle service will run from the parking area to the chapel. Seventeen speakers with "ideas worth spreading" will converge at Baylor School for a TEDx Talk on Saturday, Sept. 16, culminating an ambitious plan put together by a high school student. TED is a nonprofit media organization that presents core talks twice a year in Vancouver, British Columbia. Leading thinkers and doers get 18 minutes to share their topics. Independently produced events are known as TEDx Talks. TED is short for technology, entertainment and design. 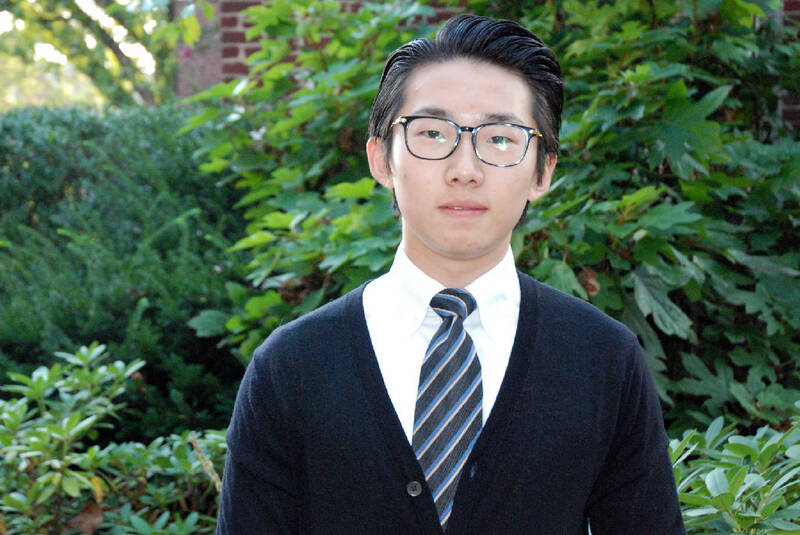 Baylor senior Liam Zhang has coordinated Saturday's event. This will be the third in Chattanooga, after two sold-out events at UTC in 2014 and 2016. Many of the speakers have high-profile business expertise, but there are lighter subjects to be mined as well. * Alan Stein — "Respecting Time and Living Present." He teaches organizations how to use the same strategies in business used by elite basketball players (he's worked with Kevin Durant and Markelle Fultz) to perform at a world-class level. * Christian J. Collier – "Mama Said" (poem). The local artist and educator has shared the stage with several members of HBO's "Def Poetry" cast, legendary poet and activist Ishmael Reed and Grammy-nominated Minton Sparks. His works have been published in The Guardian and The American Journal of Poetry. * Elijah Anderson Barrera — "Join the World Language Party." The chairman of Baylor's world languages department strives to put students in his Spanish-language classes into real-world situations, a style rooted in his own experience of growing up in a multilingual, multicultural community in Los Angeles. * Felicia Jackson — "Three Dynamics to Life-Saving Success." She is the inventor of CPR LifeWrap, a disposable CPR template that helps guide any bystander through an emergency situation. * John Sterling — "Learning Problem-Solving Skills With Old Cars." A professor of criminal justice at Bryan College, he was the first regional coordinator for Homeland Security for East Tennessee and has turned a hobby into a business, transforming abandoned cars into daily drivers. * Joshua Browder — "How Lawyers Are Going To Be Replaced With Artificial Intelligence." The founder of DoNotPay and a member of Forbes' 30 under 30 list, he created a robot lawyer that helps people with legal issues. * Justin Lewis-Weber — "Doublethink, Nondisprovables and the Scientific Method." The Stanford University student, whose projects focus mainly on climate change and renewable energy, is CEO of Empower Earth Inc., a startup that aims to solve the energy paradigm of powered air flight. * Liz Kislik — "Why There's So Much Conflict at Work and How To Fix It." With more than 25 years' experience as a management consultant and business coach, the president of Liz Kislik Associates has helped organizations from the Fortune 500 to national nonprofits and family-run businesses. * Mike Michalowicz — "Protect the Queen: The Simple System To Make Any Business Permanently More Efficient." The creator of the Profit First Formula, a way for businesses to ensure profitability, is the author of several books, including "Surge," "The Pumpkin Plan" and "The Toilet Paper Entrepreneur." * Myke Kelly — "LGBTQ Alphabet Soup." The president of Tennessee Valley Pride focuses her advocacy efforts on transgender and nonbinary youth. * Dr. Rob Headrick — "A New Approach To Reducing Cancer Mortality: Machine Learning and Natural Language Processing." He is chief of thoracic surgery and co-director of the Rees Skillern Cancer Institute at CHI Memorial Hospital. * Robin Fazio — "Why You Want To Be a Farmer." In addition to teaching Spanish and managing the small organic farm at Baylor, he operates his six-generation family farm in Colquitt, Ga.
* Sam Feinburg — "How To Avoid High-Altitude EMP Threats and Save the Nation." He is executive director of Helena, a think tank of global leaders (Gen. Stanley McChrystal, producer Brian Grazer, among others) focused on executing projects that improve the world. Their projects address climate change, urban poverty and nuclear security. * Stuart Friedman — "Cracking the Truth Codes: How Culture Impacts the Way People Tell the Truth or Why They Don't." He is chief executive officer at Global Contex, which provides coaching and training programs that address the challenges of multicultural workplaces. * Elizabeth Hayslett — The junior at Baylor discovered the beauty of illuminated manuscripts while on a trip to the Morgan Library and Museum in New York City. * Cannon Hunt — The Baylor School sophomore will share his talents as a singer and songwriter.